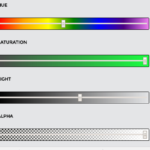 Supports HEX, RGB, HSL, HSV, CMYK color formats and alpha channel. 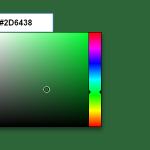 Also provides a function that converts the default color values (HSVa) to HSLa, RGBa, HEX and CMYK values. Supports both browser and node.js. 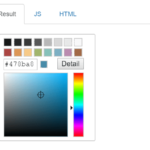 Create a container element to place the color picker. 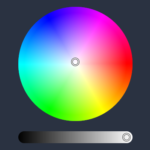 Initialize the pickr to generate a default color picker. 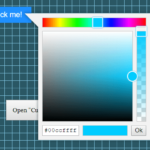 Customize the position of the color picker when triggered. 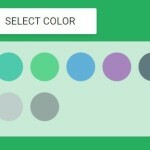 Customize the color picker component. // Using the 'el' Element as button, won't replace it with the pickr-button. // If true, appendToBody will also be automatically true. // Start state. If true 'disabled' will be added to the button's classlist. // If set to false it would directly apply the selected color on the button and preview. // 'body' will be used as fallback. // Enables the ability to change numbers in an input field with the scroll-wheel. // Bottom interaction bar, theoretically you could use 'true' as propery. 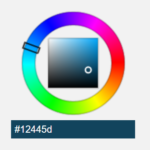 How to enable default color swatches?